Fight Off Acne With Burdock Tea! The burdock plant can be identified by the prickly spheres that grow in clusters above the leaves. Although the burdock plant is typically grown in Europe and Asia, recently it has been grown in the United States as well. Due to this burdock tea is becoming more commonly found in the United States and because it has many uses in helping to cleanse the body and keep it functioning properly. Acne is caused by an assortment of different factors and can affect anyone of any age or gender. It can appear in the form of clusters of pimples, black heads, or white heads on the surface of the skin and generally affects areas of the face, neck, chest, and back. Acne is mainly the result of an excess amount of oil being produced by the skin. This can happen as a result of a hormone imbalance in the body which is why it can affect people in their teenage years more often. Other causes for acne are stress, allergies, certain foods, cosmetics, and bacteria. Although most cases of acne are usually not serious, many people find this ailment to be particularly discomforting and troublesome. There are various treatments available for acne, many of which can be purchased over the counter from drug stores. However, there are also many natural remedies available for acne and these can sometimes be healthier alternatives. How Can Burdock Tea Help? 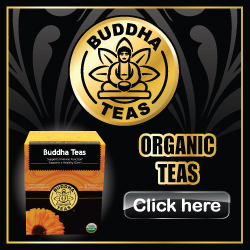 Among the natural herbal remedies that are offered for acne, burdock tea sits at the top as one of the best. The reason behind this is that this particular tea can help rid acne as well as lessen the frequency that it appears. Burdock tea holds a wide array of various antioxidants, flavonoids, and minerals such as potassium, tannin, iron, and polyacetylenes. A lot of these compounds work to actively cleanse the body and rid it of harmful toxins which can be a cause of acne. Burdock tea is commonly prepared and ingested, though it can also be cooled and applied topically to areas that are affected by acne to help cleanse the skin.